In 1981, Virgil Ayers started Ayers Basement Systems with the goal of building a basement & foundation company with quality work and customer service that stood apart from the competition and he did exactly that. When you work with Ayers, expect to have your home and family treated with respect. Expect unsurpassed quality craftsmanship with patented products. Expect permanent, warrantied solutions (contact us for full details). We stand apart from other Michigan & Indiana contractors and are proud of it. Ayers Basement Systems provides Michigan & Indiana homeowners with professional basement waterproofing, foundation repair, crawl space repair and concrete leveling services. If you are in Lansing, Grand Rapids, Kalamazoo, Traverse City, or anywhere nearby, give us a call for a free inspection and cost estimate. We offer free inspections and cost estimates for all services. We offer a variety of convenient financing options. Why do Michigan & Indiana homeowners choose Ayers Basement Systems? Our system design specialists show up when they say they will. They fully inspect your home, explain the solution and answer any questions you have. They do not try and sell you products you don't need or want. The written cost estimate you receive is complete - there are no add-ons or hidden fees. We choose to only use quality, patented products in your home. These products are superior in workmanship and are specifically designed for basement waterproofing, foundation repair, egress, crawl space repair and concrete leveling. The end result of all this is that your home is professionally fixed and permanently protected. This is why homeowners throughout Michigan & Indiana choose us! "Very fine workers. Very polite and nice and worked like..."
Over the past 35 years, our small, independent business has grown to be the most trusted basement and foundation contractor in Lansing & beyond. 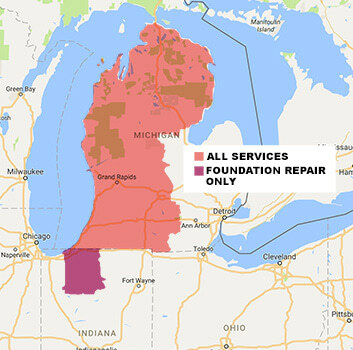 We have served over 30,000 Michigan & Indiana homeowners with basement waterproofing, crawl space repair, foundation repair and concrete leveling services. 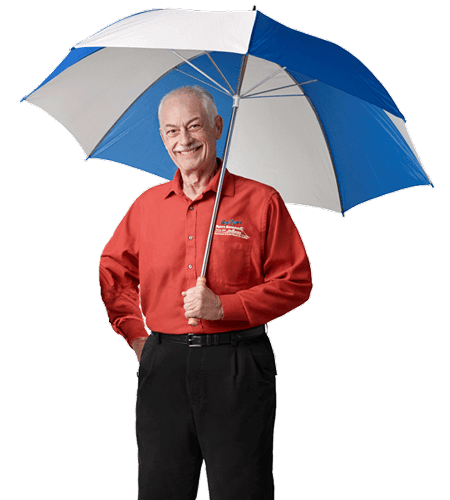 It doesn't matter if you have basement water seepage, cracked walls, settling floors, or a sinking foundation; our well-trained and professional system design specialists, supported by our knowledgeable and friendly office staff, are ready to solve the problem.